The brain is protected by formidable defenses. In addition to the skull, the cells that make up the blood-brain barrier keep pathogens and toxic substances from reaching the central nervous system. The protection is a boon, except when we need to deliver drugs to treat illnesses. Now researchers are testing a way to penetrate these bastions: sound waves. Kullervo Hynynen, a medical physicist at Sunnybrook Research Institute in Toronto, and a team of physicians are trying out a technique that involves giving patients a drug followed by an injection of microscopic gas-filled bubbles. Next patients don a cap that directs sound waves to specific brain locations, an approach called high-intensity focused ultrasound. The waves cause the bubbles to vibrate, temporarily forcing apart the cells of the blood-brain barrier and allowing the medication to infiltrate the brain. Hynynen and his colleagues are currently testing whether they can use the method to deliver chemotherapy to patients with brain tumors. They and other groups are planning similar trials for patients with other brain disorders, including Alzheimer's disease. 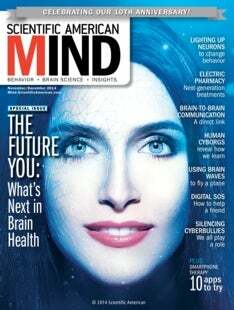 Physicians are also considering high-intensity focused ultrasound as an alternative to brain surgery. Patients with movement disorders such as Parkinson's disease and dystonia are increasingly being treated with implanted electrodes, which can interrupt problematic brain activity. A team at the University of Virginia hopes to use focused ultrasound to deliver thermal lesions deep into the brain without having patients go under the knife. “Using ultrasound to make lesions in the body is not a new concept; however, it's been limited for the brain because of the contours, density and thickness of the skull,” says neurologist and study investigator Binit Shah. The new technique overcomes that hurdle by training more than 1,000 beams onto a target area. Shah and his colleagues' pilot study of patients with essential tremor—a common, usually benign condition of rhythmic shaking—was published in the New England Journal of Medicine last year and found that ultrasonic lesioning of part of the thalamus decreased tremor. The group is expanding the trial and launching other pilot studies to explore several symptoms of Parkinson's. The benefits of focused ultrasound might extend well beyond restoring mobility and delivering drugs. Other groups are exploring its use in treating neuropathic pain and obsessive-compulsive disorder, too.